ENOVIA SmarTeam is a leading solution for Product Lifecycle Management (PLM), enabling mid-market businesses and engineering departments of larger organizations to integrate, manage and reuse their product knowledge and processes. ENOVIA SmarTeam V5 has one of the largest PLM customer bases, with more than 8,000 customers worldwide in high-tech (electrical and electronic), industrial equipment and consumer goods, the automotive, aerospace and defense supply chains, and across most other industrial sectors. Its broad portfolio enables organizations, especially those using a Microsoft platform, to manage and leverage product knowledge and business processes efficiently from concept through manufacturing. RGS leverages the largest and most experienced SmarTeam services organization in North America. 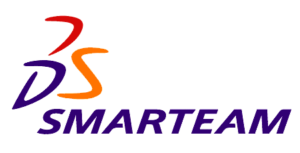 In fact, a number of the team members have experience with SmarTeam dating back to its initial release in 1997. RGS provides the following services around SmarTeam.